Last year the banking industry prevented £1.66 billion of unauthorised fraud, according to a report from UK Finance, reports Jane Connolly. The figure comprised attempted unauthorised fraud using cards, remote banking and cheques. This means that the industry effectively stopped £2 in every £3 of attempted unauthorised fraud. Unauthorised fraud results when the account holder does not provide authorisation for a payment and the transaction is carried out by a third party. Industry research has shown that customers are fully refunded in 98% of unauthorised fraud cases. In authorised push payment (APP) scams, customers are tricked into authorising payments to other accounts controlled by criminals. Under existing legislation, victims have no legal protection against losses if they authorised the payment themselves. A total of £1.2 billion was stolen by criminals committing both unauthorised and authorised fraud in 2018. 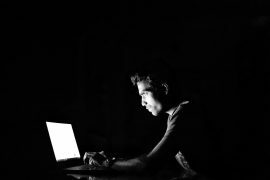 Research suggests that theft of personal and financial information through social engineering caused by data breaches outside the financial sector was a major factor in the fraud losses. Katy Worobec, managing director of economic crime at UK Finance, called on every business and the public sector to beat fraud and prevent stolen data from falling into criminal hands. “The industry continues to fight fraud on every front to protect customers and prevent this kind of crime,” she says. In February, the APP Voluntary Code was agreed following work between the industry, consumer groups and the Payment Systems Regulator. The code comes into effect on 28 May and will bring new protections for customers of payment service providers who sign up for it.